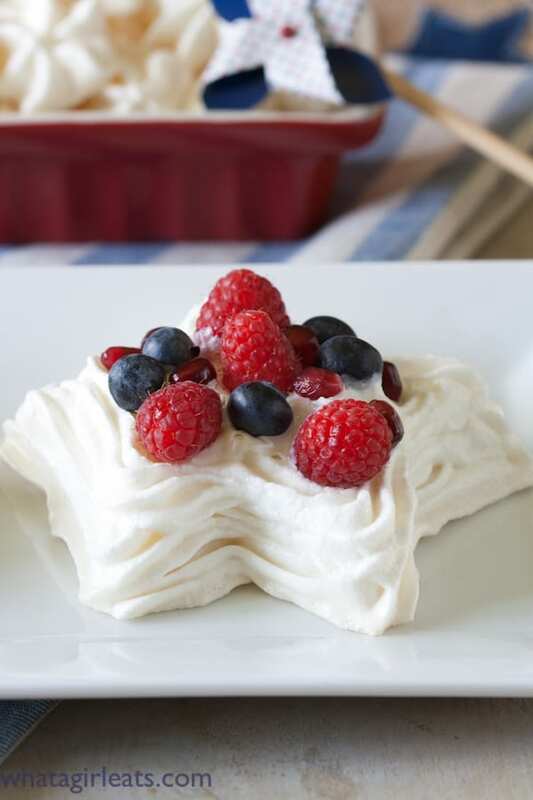 Star meringues, “spangled” with a dazzling display of bright, fresh berries. 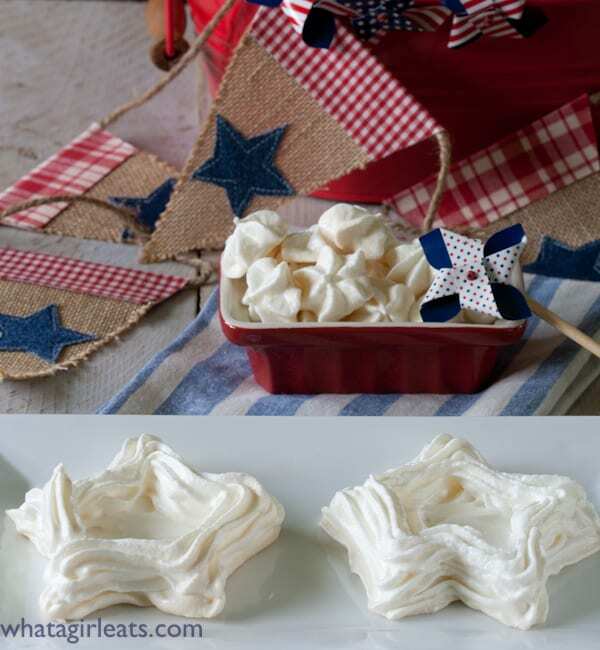 Star spangled meringues are a patriotic holiday dessert that will impress your guests! 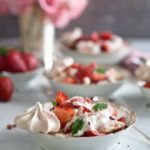 Star meringues filled with berries and fresh whipped cream. I like meringues. 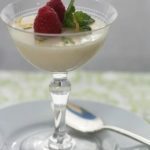 They were the very first dessert I learned to make in high school. 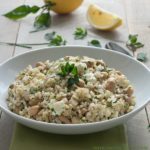 They can be soft and chewy or delicate and crisp. Star-shaped meringues filled with berries and fresh whipped cream. 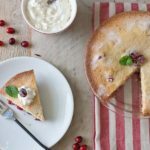 They’re delicious on their own, paired with ice cream or whipped cream and topped with berries. Since I’ve made them into the shape of clouds to go with easy Tropical Sorbet, and into hearts for a romantic Valentine dessert, star meringues for the 4th of July, had to be next! 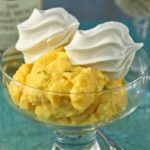 Meringues are not very hard to make, just egg whites and sugar. 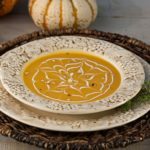 A pinch of cream of tartar helps to stabilize the whites. They don’t actually bake, so much as they dry out. 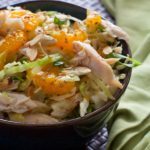 Make them several days in advance, and store in an air-tight container, to cut down the amount of time you spend in the kitchen. Star meringues, ready to fill. 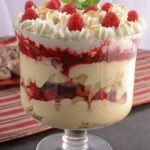 Put out shells and bowls of ice cream or whipped cream and assorted fruit and let guests fill their own! 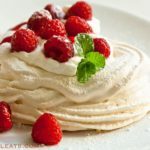 Although humidity will affect the texture of the star meringues, if they do soften, they can easily be put back into the oven at 175 degrees F. to “re-crisp”. This method, used for the star-shape, can be applied to any shape. The whites should be thick and glossy stand up when the whip is pulled through it. 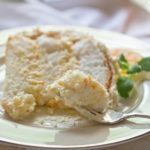 The meringue should be stiff and glossy, so that when the beater is pulled through, peaks are formed. The stiffness helps the meringue shells keep their shape. Trace the desired shape(s) on a sheet of parchment paper. 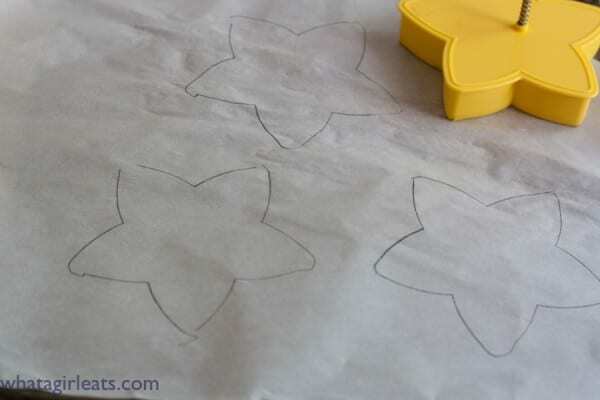 Use any shape and trace on parchment paper using a pencil. Reverse the parchment so that you won’t get any pencil residue on your meringues. To keep the parchment from curling, use a dab of the meringue to “glue” the parchment to the baking sheet. Using a pastry bag fitted with a large star-tip, fill in the bottom of the star, smoothing if necessary, to make a bottom that’s about 1/4″ thick. Then pipe around the edges, two rows high. Pipe around the star shape, filling in the bottom first, then the sides. 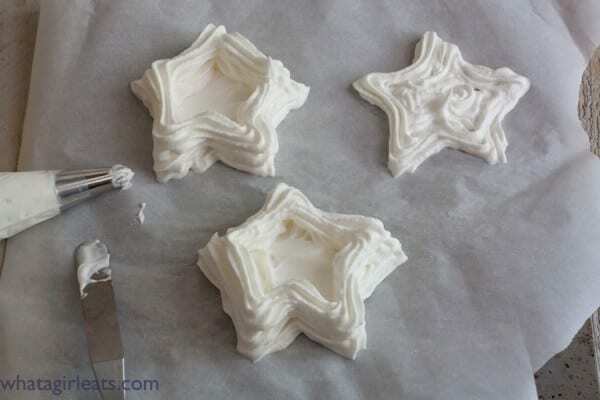 Pipe any left-over meringue into small stars. 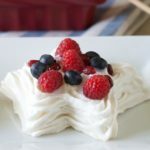 Fill the shells with whipped cream or ice cream and fresh berries or fruit. I hope these star meringues will make an impression at your patriotic holiday party! Meringue shells perfect for filling. Makes 8-10 star-shaped meringue shells depending on the size of your pattern. 6 egg whites bring to room temperature for best results. 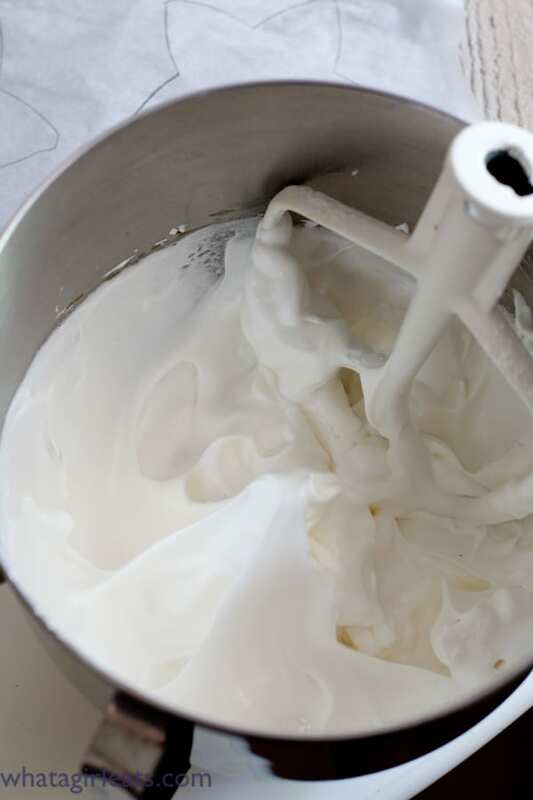 In a clean grease free mixing bowl, whip white on low speed until foamy. Add salt, cream of tartar and vanilla and continue whipping about 8 minutes or so, the whites should begin to have soft peaks. Gradually add sugar, a few teaspoons at a time and continue beating until the whites are stiff and shiny, like satin. Either use a pastry bag to pipe out shapes or drop by tablespoons on prepared sheets. When they are done, they will be crispy and light and will be easily removed from the cookie sheet. Store in an airtight container. They do not need to be refrigerated. 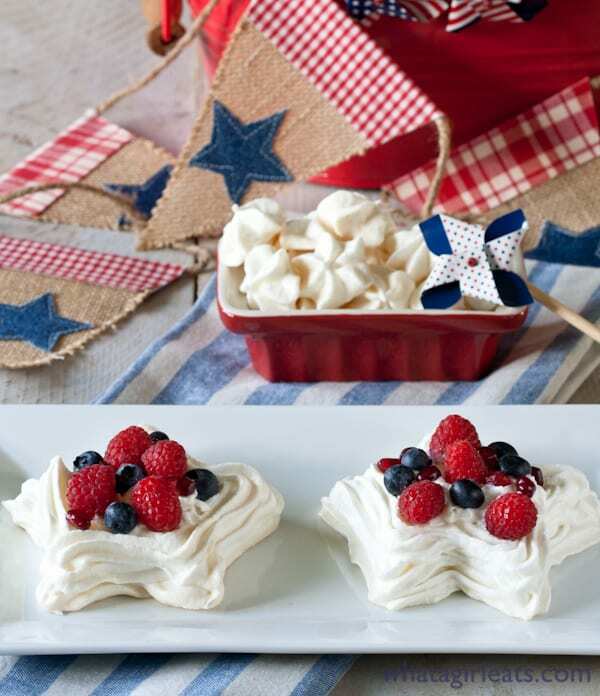 Star Spangled Meringues are filled with fresh berries. They’re gluten free! 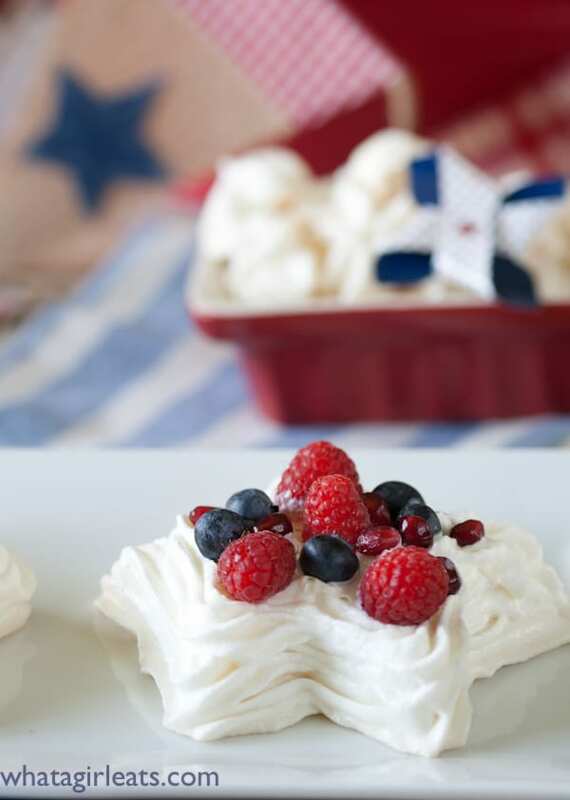 Star-Spangled Meringues with Fresh Berries. I have never seen meringues in any shape besides the traditional circle. 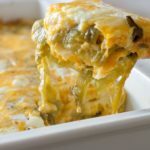 These are stunning and oh so impressive for guests! Thanks Krystle! Since meringue is so easy to pipe out, I thought a star would be fun for the 4th! I thought so too Carrie! Thanks! I love meringues made any sort of way, but I’ve never ever seen them piped into star shaped baskets before! How perfect is this for the 4th of July!! 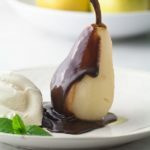 Very creative and still so fabulously delicious! Wish I could have one (or three) now! Cynthia–I was expecting these to be red white and blue from artificial ingredients–but these are PERFECT!!! 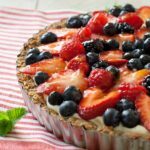 Love how you incorporated fresh berries! These are so unbelievably cute! What a super festive snack!